The Big Dog has a new yard, the Pirate Princess is about to embark on a new voyage and WWE's songsmith is preparing himself to play some new venues. The Superstar Shake-up is in the books, with some big names and rising stars making the brand switch as the company completes their annual refresh of the Raw and SmackDown rosters. 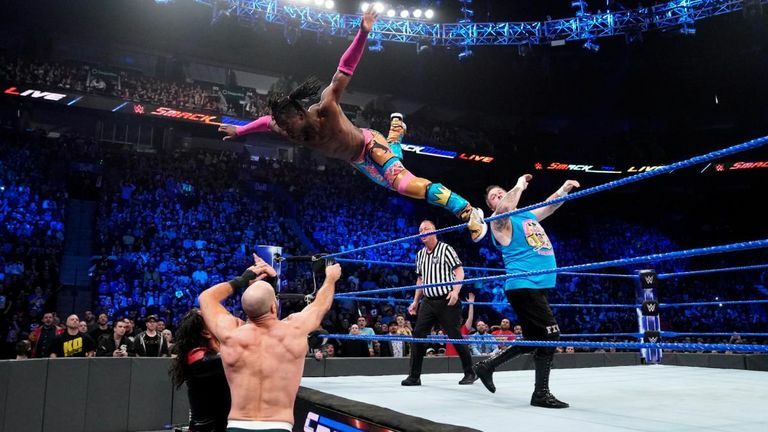 The blue crew got their chance to add some new faces to their television show this week, with Roman Reigns, Finn Balor and Bayley among the big names making the switch. There was also plenty of match action among the human resources admin, and we've picked the high spots from Tuesday night's offering. Click on the video above to check it out and don't forget to catch the replay on Sky Sports Arena at 10pm tonight.